Attract new visitors to your Website and increase your On-line position! A Website alone is not enough if it has no visitors, that is to say, if it’s not optimized. One of the crucial parts in creating a Website is its optimization! Websites filled with plugins or add-ons will slow down your on-line space, hence search engines will assign it as less important. Find out how to optimize your website and reach the new visitors your company is looking for! Create a newsletter fit for the profile of your company, with solid and attractive email campaigns! Track and monitor progress and return for every single campaign. You have your own method, but desire to automate it? We’re experts in creating automated and intelligent systems, leveraging the methods you already use. Website optimization for search engines through hashtags, site maps, compression, reduced loading time, creation of quality backlinks and content, amongst others. We research and define where publicity investment is more profitable, whether in Google AdWords and Facebook, or in Pay per Click or Pay per Install, or even others. Creating high-quality Backlinks ( DA 30-100+ ) with articles between 500 a 1000 words in main-stream and popular websites! Our links are 100% safe e reviewed multiple times before they are published! Social Networks management can be very time consuming! At INDIGIT, we will create your content ( Multimedia and Texts ) and at the same time we automate the whole posting process, so you can have time to take care of your business! Ready to boost your website SEO? Dont hesitate to contact us, we will reply in less then 24 hours with a partial SEO Audit for free! Defining the purpose of Optimization, researching potential keywords to promote, observing and analysing the user’s navigation, reaching key points to improve. Suggesting improvements on Website, documenting changes taking place in order to continue Optimization and defining potential key partners, in order to promote ads or campaigns in the digital space. Implementing planned changes in first stage of your Website. Changes may consist of: metatags, permanent links, temporary links, images, tags or internal links. Next, creating a unique content for the campaign, with texts, images and titles, promoting the links/ads on the various available channels - Social Media, Google AdWords, Google AdSense, YouTube, etc. Monitoring users’ progress and experiences, enabling the analysis of the campaign results. This may help you understand what changes should take place to make the most of your business, as well as analysing potential rejects and new tactics to boost sales, and much more! We use numerous tools, such as: Google AdSense, Click Tracking, amongst others. Any SEO strategy has only and one only propose: Rank and keep your site on the top of search engines! Resuming: this is SEO! 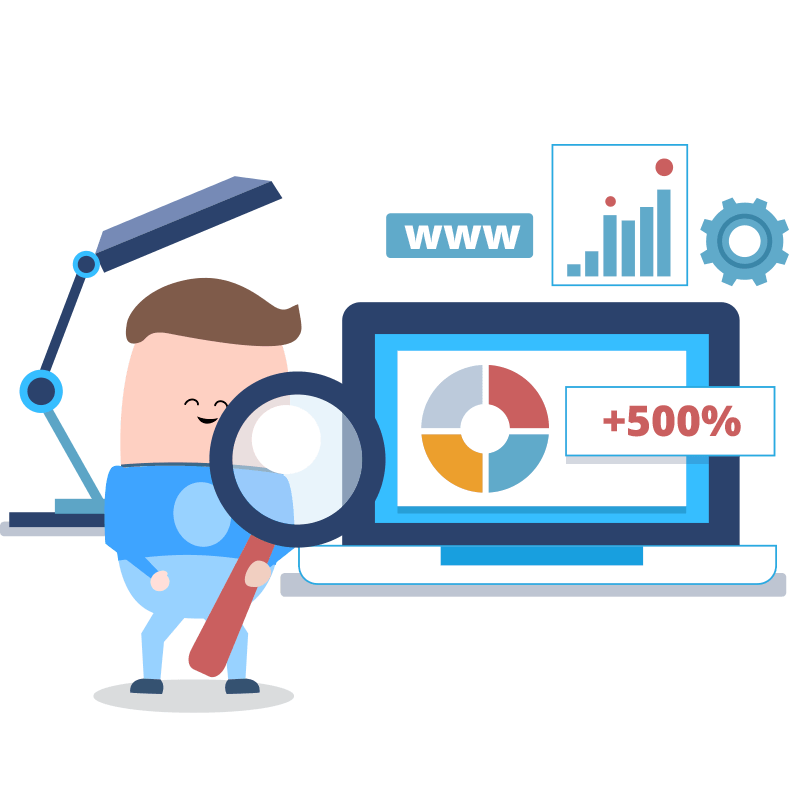 To achieve greater and better results some optimizations have to be done such as: SEO on Page and SEO Off-Page, but what is this? SEO On Page - This is one of the most important methods since it consists on optimizing your own website. At this point, you should try to fix any SEO mistakes, since it only depends on yourself! Some of the SEO optimizations you should consider are: content quality, unique and based on the keywords that you pretend to rank, remove any broken links, easy and accessible interface, content structure & many more! SEO Off-Page - Search engines are constantly checking and evaluating websites that link relevant content into your website. The Link Building e Quality References are one of the key factors to a successful SEO build. Obviously, Social Network Sharing, important websites reference and such not only will bring you traffic but will also help you to rank! Can i do optimizations myself? Can i optimize my current web site ? Yes, usually all the websites can be optimized, in worst cases if your site is not well structured, its required or recommended to build a new one and start fresh! Social Network Management, how it works ? What is necessary to start ? To start is required access to Google Adsense, Google Search Console, and to your website ( Wordpress / FTP ), also can be necessary more tools depending from project to project. PPC ( Adwords, etc) or SEO ? Link Building, DA, how it works ? This process consists of creating high-quality links and referrals to your website for a specific keyword. This method is one of the most important when it comes to building organic ranking on search engines. All our links are from websites with a Domain Authority 40+, this means they are websites with a nice reputation that won't hurt your campaign by any chance! The Rank is guaranteed ? No, SEO tactics and search engine algorithms can change from time to time, so SEO is a constant investment, depending obviously on the concurrency of the keyword you are trying to rank, can be necessary to make some investment from time to time!